Capitol Hill’s newest representative in Olympia has passed his first bill through the House. 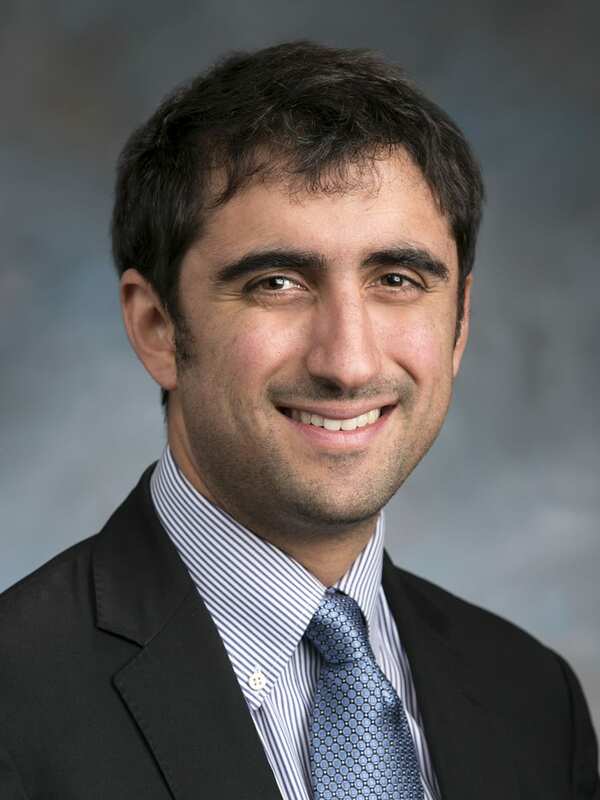 Rep. Brady Walkinshaw sponsored a bill that would allow public community and technical colleges award honorary degrees. When the legislature first granted public universities the ability to grant honorary degrees, they did not extend that ability to community and technical colleges. “Honorary degrees play an important role – honoring those who have made a significant contribution to their communities,” the 29-year-old Walkinshaw said in a statement. Walkinshaw was selected for the post in place of Jamie Pedersen, who continues to represent the 43rd District in Ed Murray’s former senate seat. Walkinshaw told CHS the 43rd’s dominating progressive liberal base makes his job much more enjoyable. “The nice thing is that you agree with most of what constituents want, it’s just trying to translate that into reality,” he said. Walkinshaw, who lives in Capitol Hill, is a gay Cuban-American with an impressive academic background. Just about every mental health professional agrees: gay conversion therapy doesn’t work and it’s probably down right harmful, even causing some patients to become suicidal. A bill scheduled for a senate hearing this week seeks to ban “sexual orientation change efforts” for those 18 and younger. The bill amends the Uniform Disciplinary Act, which defines prohibited medical procedures in the state. We’ve documented how expensive rents are in Capitol Hill. Not helping matters is shelling out $30 or more for a background screening every time you submit a rental application. This bill would would ensure tenants only pay that fee once by requiring landlords to accept a submitted background screening as long as it was prepared within 30 days of the application date. Landlords may choose to do their own background screening, but if one is already provided to them they cannot pass that fee onto prospective tenants. While Seattle officials hammer out details on a $15 minimum wage proposal, Olympia is mulling over a bill to increase the minimum wage statewide from $9.32 an hour to $12 an hour. Wage increases would be phased in over three years, hitting $12 an hour in 2017. Under this Republican sponsored bill, local jurisdictions would be prohibited from passing their own laws on private labor practices, including minimum wages, sick leave, and . The bill is also retro-active, thus undoing paid sick leave in Seattle and SeaTac $15 an hour minimum wage. Needless to say, the city’s lobbying team is working to quash the bill. After moving from Texas to Washington, the parents of Joel Reuter are pushing for stricter mental health laws they say could’ve saved their son’s life. Reuter was killed inside his Capitol Hill apartment by Seattle Police snipers following an eight-hour standoff during which he had become delusional and accused officers of being zombies. Under the Reuter’s bill, if a county decided not to involuntarily commit someone, family members of that individual could appeal the decision. The bill falls short of allowing family members to directly petition counties to involuntarily commit a family member. Ever fill out a job application that asked you if you had ever been arrested? Under this bill employers would be barred from asking job applicants about their criminal history that didn’t result in a conviction. Last year the city’s lobbyist in Olympia told the city council to expect little to no progress on any of the its transportation priorities. The biggest of those is allowing counties to impose a “motor vehicle excise tax” — a local and reliable funding source to sustain Metro bus service. With the transportation package stalled in Olympia, King County Executive Dow Constantine has proposed a “Plan B” — raising money by resurrecting the county’s Transit Benefit District. The TBD would raise $130 million in 2015, with $78 million going to fill Metro’s project revenue shortfalls. The rest of the funding would go towards road and infrastructure projects. The county council approved the formation of the district earlier in February, which will eventually have to be approved by voters. Following the passage of I-502 in 2012, a set of taxes were imposed on growers, manufacturers, and retailers. Those taxes are pooled in a state fund, but none are dedicated to local jurisdictions. This bill would take 10% of the producer-to-processor taxes and 20% of retail sales tax and place it into local funds. The bill is essentially an enticement to cities who might seek to ban pot businesses by giving them a dedicated slice of the action. Another bill would prevent cities that ban pot businesses from getting a chunk of the $49.5 million disbursed from a state liquor-license account. This entry was posted in News, etc. and tagged olympia by Bryan Cohen. Bookmark the permalink. I am queer, came out before this fool was born, into a much more homophobic culture than he has ever known. What a waste of a legislative seat! I could care less & few in WA deal with anything like the issues in HB2451, as such behavior is already censured by the credentialing organizations of the USA & Wa St. I NEED RENT CONTROL and jobs with benefits NOT a min wage hike that will merely give the absentee landlords of CH the excuse to hike our rents some more! Wake Up Walkinshaw, you’re a twit if this easy BS excuse for legislation is all you can “do for us”! Won’t be voting for you if you continue to miss the boat like this.